"Do you hear the ticking… ticking… ticking…?" 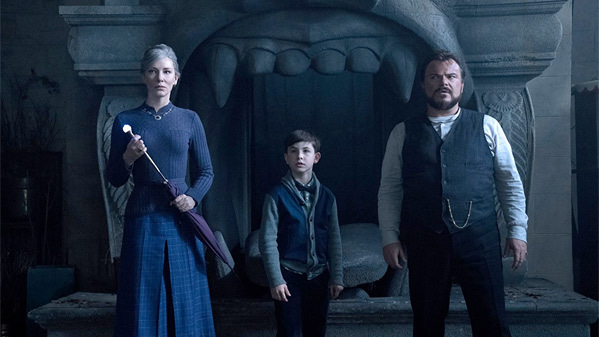 Universal has revealed the first full trailer for Eli Roth's next film, an adaptation of the children's horror classic, titled The House with a Clock in Its Walls. This "spine-tingling tale" is produced by Amblin Entertainment (yeah, seriously!) and is described as being in the "tradition of Amblin classics where fantastical events occur in the most unexpected places." Owen Vaccaro stars as Lewis, a 10-year-old boy who goes to live with his uncle in a creaky old house with a mysterious tick-tocking heart. The full cast includes Jack Black, Cate Blanchett, Renée Elise Goldsberry, Sunny Suljic, and Kyle MacLachlan. This actually looks way better than expected, I'm definitely curious about this now. I also love the vintage Universal logo at the start. Oh yes, I'm seriously down for this. Check it out. The magical adventure tells the spine-tingling tale of 10-year-old Lewis (Owen Vaccaro) who goes to live with his uncle in a creaky old house with a mysterious tick-tocking heart. But his new town’s sleepy façade jolts to life with a secret world of warlocks and witches when Lewis accidentally awakens the dead. 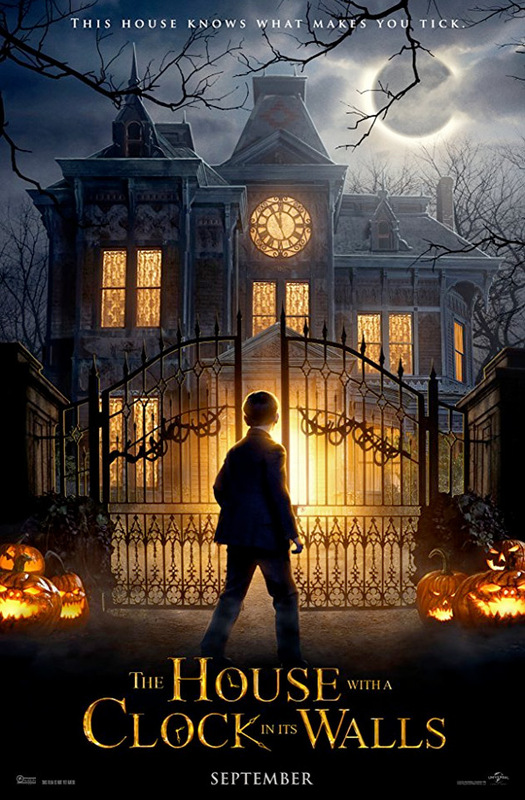 The House with a Clock in Its Walls is directed by infamous American horror filmmaker Eli Roth, of the films Cabin Fever, Hostel I & II, The Green Inferno, Knock Knock, and the Death Wish remake previously. The screenplay is written by Eric Kripke, based on the beloved children's classic written by John Bellairs and illustrated by Edward Gorey. Universal will release Roth's The House with a Clock in Its Walls in theaters everywhere starting on September 21st this fall. Visit the official site. First impression? Who's in already?